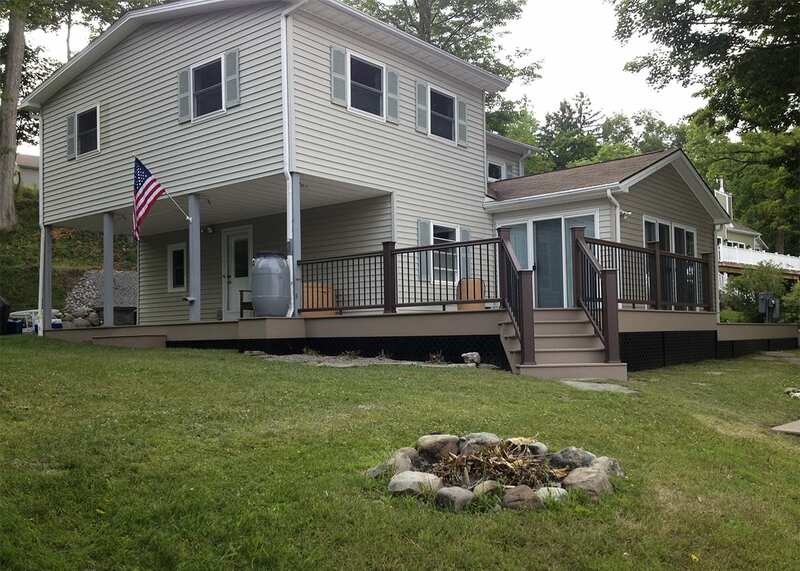 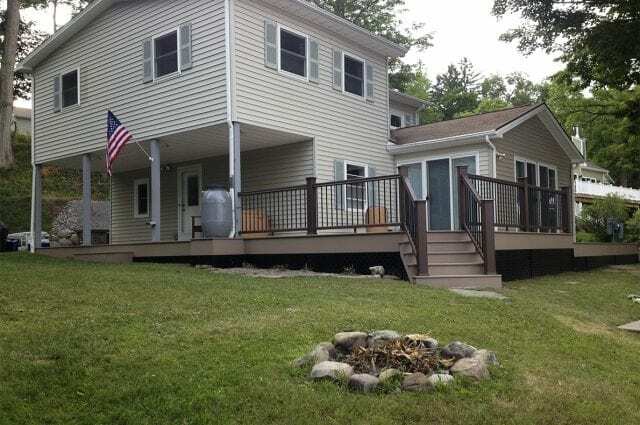 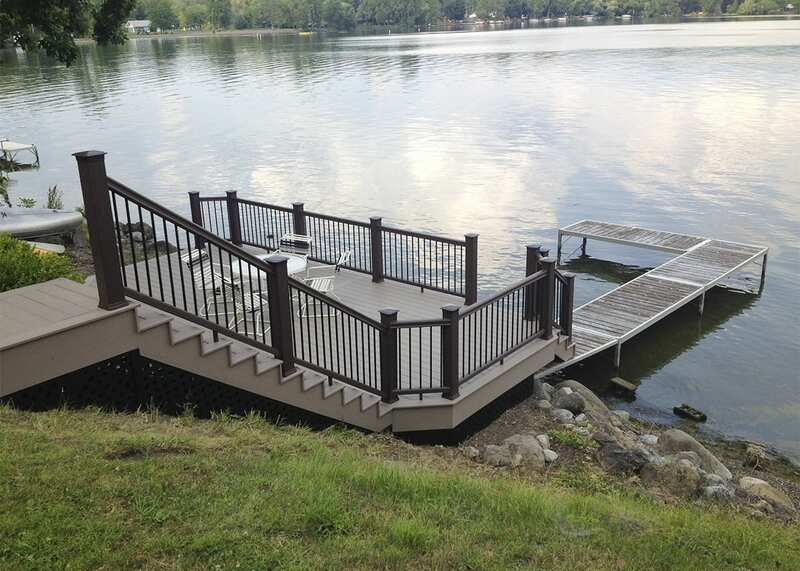 This Lakeside Project was completed by our New York Team in Honeoye, New York. 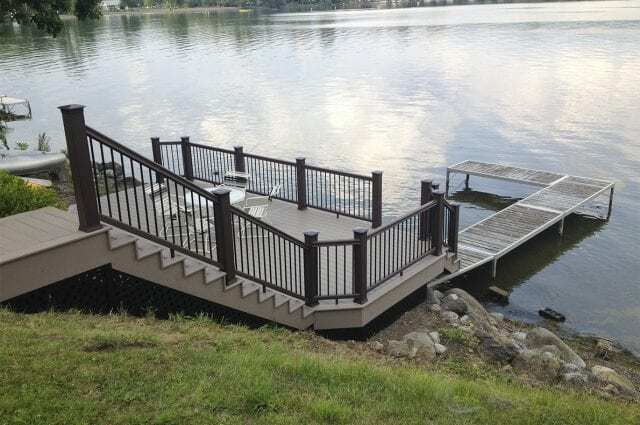 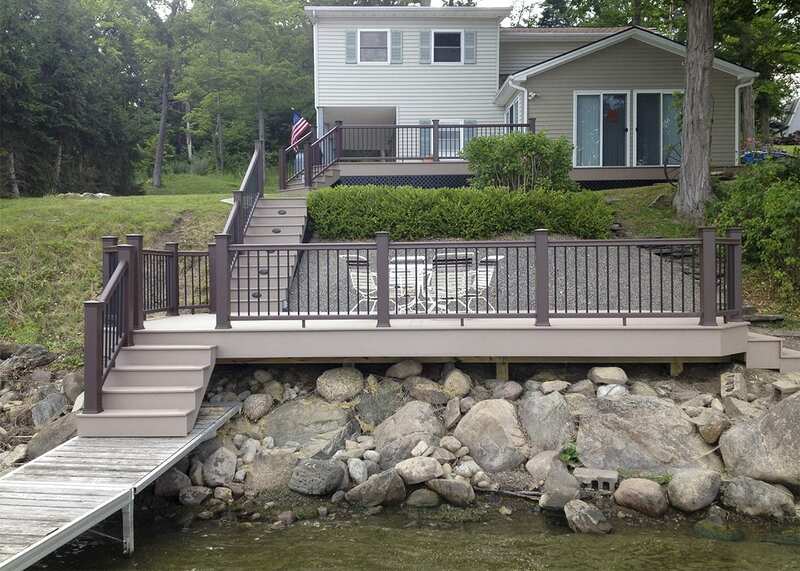 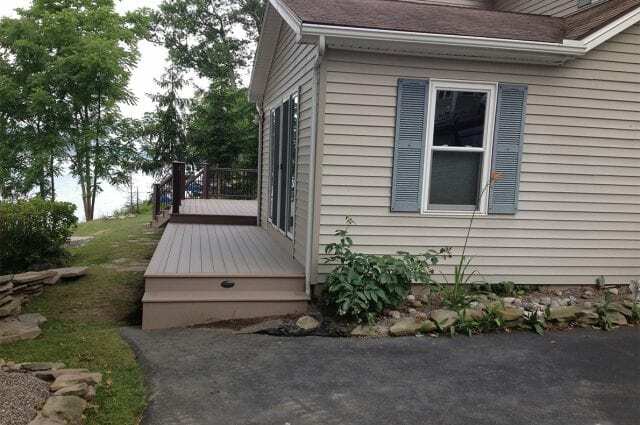 The Multi-level deck was designed to go down to the Boat Dock and was constructed with TimberTech Sandy Birch Decking and TimberTech Kona Radiance Railing with Black Aluminum Balusters. 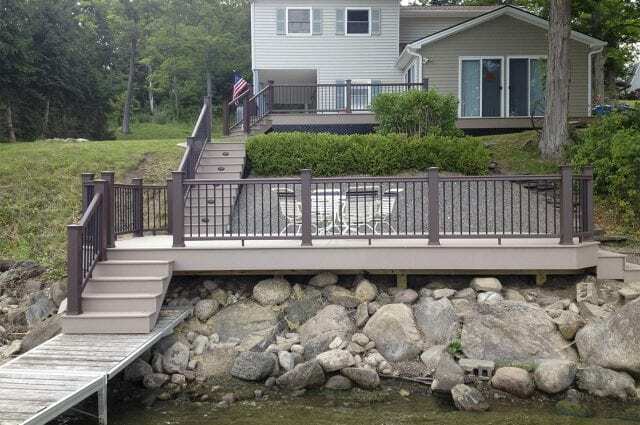 We installed black vinyl lattice around the bottom of the main deck to provide a finished look. 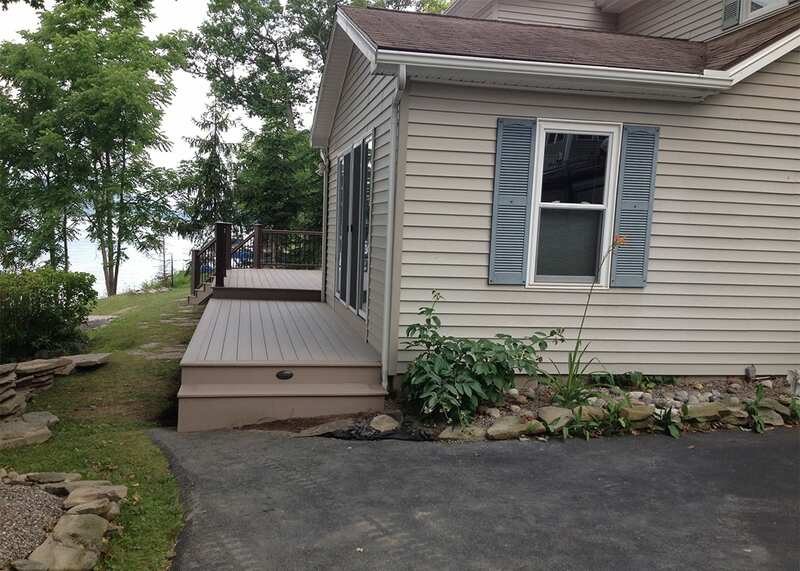 A lighting package was also installed including Step lights and Post lights wired to a switch with multiple settings. 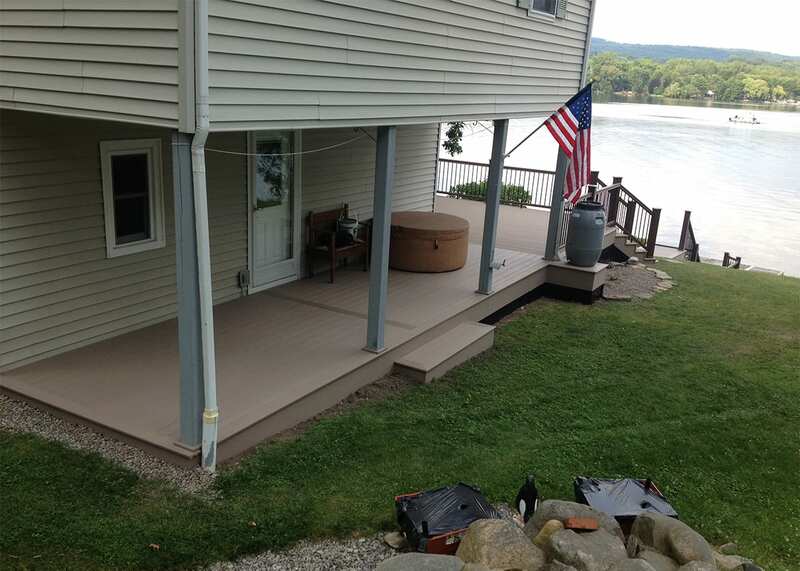 Our Keystone Team completed this Project in July, 2014.